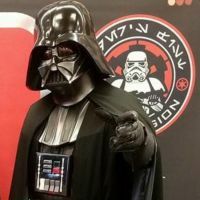 Bast Alpha Garrison • View topic - Coming Out Of Retirement. I am ready to dust off the helmet and come out of retirement. 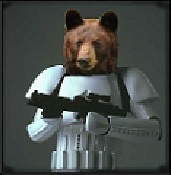 Just to reintroduce myself, My name is Donny aka Beartrooper. Imperial ID# 3282. 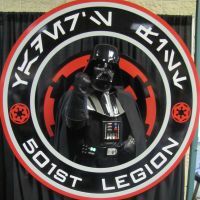 I originally joined the 501st through the Star Garrison, Central Texas Squad shortly after the battle of Endor. I moved to Louisiana in 2010 and joined Bast Alpha. Unfortunately I was never really able to get as involved with Bast Alpha like I was with Star. So I was retired. Since joining the 501st years ago, my daughter has dreamed of the day she would be of age to officially join the imperial ranks. She just turned 18 and is ready to join. Time to make our trooping a family experience again. Need a GML to contact me and guide me through my reactivation. Can't wait to stick it to those rebel scum again. Re: Coming Out Of Retirement. Donny, though I never knew you back when you were active, I am glad to have you back. We have a ton of events this month. You and your daughter should come hang out, maybe wrangle for us. If I can help in any way, just holler. Hey Donny its good to hear from you! IIRC you are a Navy Trooper, correct? We cant have enough of the big beetle helmets here. Ive been forced to slow down my activity lately, but if I can get my gear together (physically, its busted and I cant find all the parts) I can get back out there. Jeff's rigth, we have a TON of events coming up, far far more than we have had in past years. There's plenty of opportunities to get out, meet our hundred-plus members and get active again. Good to see another family trooper. Me and my son troop together and enjoy every minute of it. Hope to see y'all out there soon. Welcome back! Welcome back trooper! Will send you a PM regarding your reactivation. we look forward to seeing you at events. i wore my IN helmet yesterday...much easier to speak with than a closed helmet.